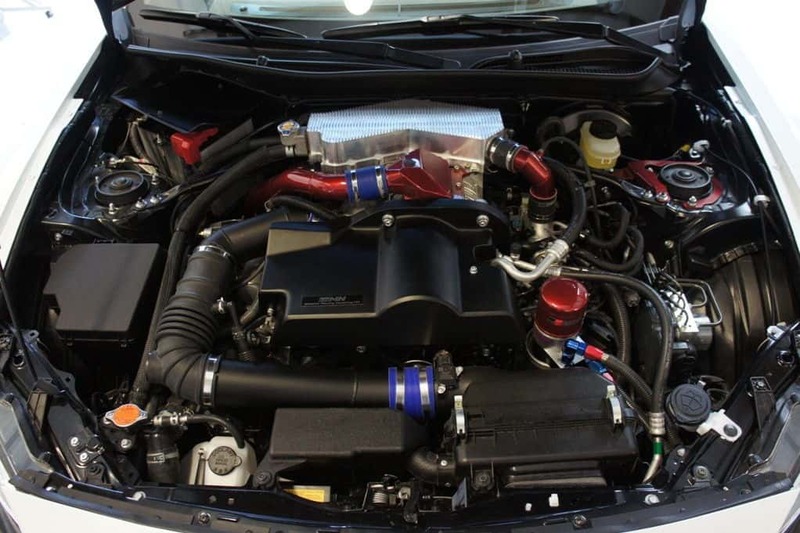 When the Toyota GT86, Scion FR-S, and the Subaru BRZ sports cars were first introduced as production-ready concept cars, we had hoped the 2.0 liter Subaru boxer engine would produce around 280 – 300 horsepower but we found out that the production models will only produce 200 ponies, we were pretty disappointed and as were a lot of other people. I’m sure later on there will be more powerful versions of these lightweight sports cars but Gazoo Racing didn’t want to wait and came up with their own version. 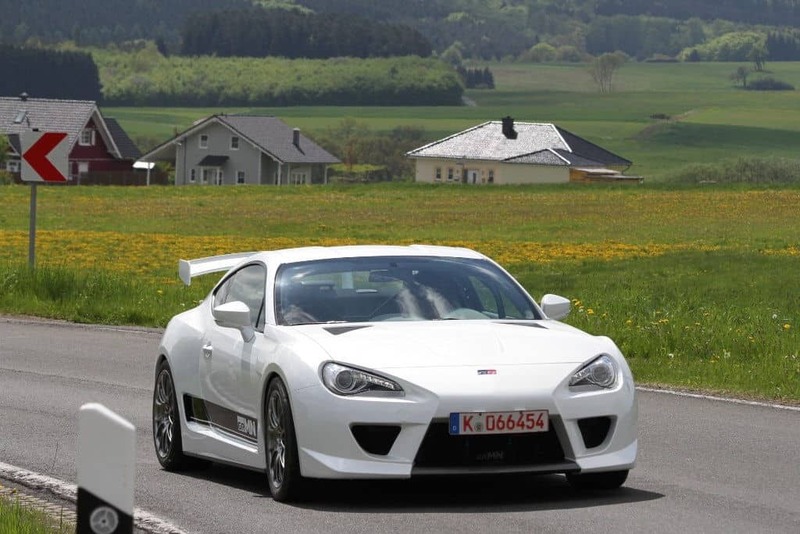 Gazoo Racing has tuned a European market Toyota GT86, they’re calling it Sports FR and the engine is twin-charged! Twin-Charging is strapping a supercharger and a turbocharger to the engine and in this case the end result is a 315 horsepower sports car with 310 pound-feet of torque. Now this is more like it! The stock GT86 comes with only 200 horsepower and 151 pound-feet of torque. Visually the Gazoo Racing GT86 Sports FR gets subtle tweaks that make the car look quite good and from some angles it reminds me of the 90’s Supra. The exterior upgrades include a new more aggressive front bumper, a wide body kit with wider front and rear fenders with side skirts, 18” wheels, and a really big spoiler. 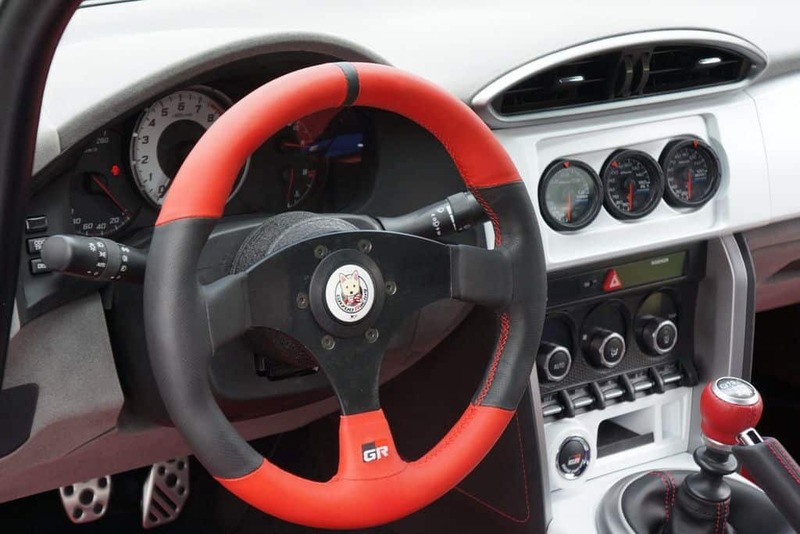 The interior has been upgraded with a racing steering wheel, the sound system has been removed and gauges placed in its place, a pair of racing bucket seats have been added with racing harnesses, the rear seat has been removed, and a roll cage has been added. According to Gazoo Racing, the car’s weight has been increased by 66 pounds to 2,822 pounds. The Sports FR is a “study” and will be showcased at the 24 Hours of Nurburgring race. 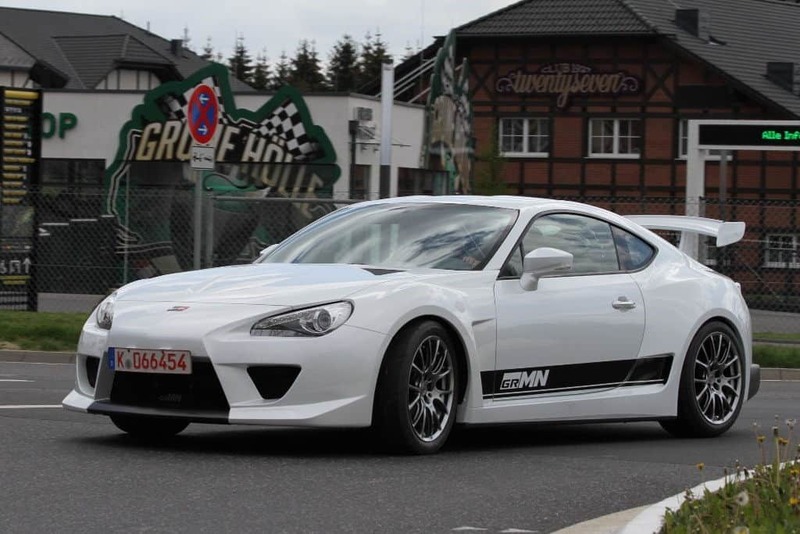 Gazoo Racing hasn’t commented on whether they’ll offer this tuning package to owners of the Toyota GT86 or the other two versions of this car.